Mini & flex plans at Smokies Stadium give you the freedom to attend any of the 70 games you want on your own time. Bring friends, family, entertain clients, or reward employees with the reserved seating or undated tickets. 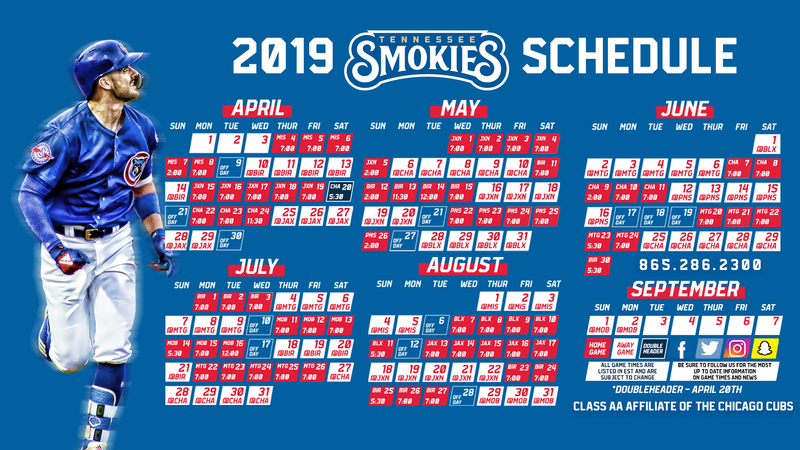 As a mini or flex plan holder you will gain access to savings over single game tickets, stadium cash to use toward concessions and merchandise, the flexibility that your busy life demands, and the chance to become a Smokies Plus Member. A Smokies representative will be there every step of the way to help choose your seats, answer questions, and take care of you all season long. Think of this person as your "direct line" to the Tennessee Smokies. If the Tennessee Smokies advance to the Southern League playoffs, mini plan holders will have priority access to an individual ticket pre-sale for playoff seats prior to the public. All unused tickets (tickets not scanned in) may be exchanged for a field level seat (based on availability) to any future regular season home game during the current baseball season. You may exchange tickets by either stopping by the Smokies Box Office (hours are 10am - 5pm Monday - Friday) or call your dedicated sales executive. This assures you let no ticket go to waste. Near the end of every Smokies season, ticket plan holders are invited to join us for a complimentary picnic at Smokies Stadium. The picnic is a chance for you to get on the field to take batting practice, shag fly balls in the outfield, and enjoy some food on us. This benefit is optional to you as a mini plan holder. You have the choice to reserve specific seats for specific dates and/or receive undated vouchers good to be exchanged for field level seats to Smokies regular season home games. You save up to 38% off regular walk-up rate tickets when you become a mini plan holder. Prior to the public on-sale date for single game tickets, all mini plan holders will have priority access to single game tickets for Opening Night as well as priority access to single game tickets for all regular season games. 12 Pack holders receive $10 stadium cash per package and 30 Pack holders receive $25 stadium cash per package which can be used throughout the stadium for concessions and merchandise. Stadium cash is loaded onto a gift card and cannot be used at the Smoky Mountain Brewery Bullpen or the Smoky Mountain Snow concession stand. When the Tennessee Smokies offer specialty or limited time ticket packages, 30 Pack holders have access to a discount of 10% off these packages. Contact your dedicated sales executive to take advantage of this discount. 30 Pack holders receive 10% off merchandise in the GoTeez Locker Room retail store all season long. To apply this discount, please present your Smokies Plus Membership card at the time of purchase. 30 Pack holders receive up to 10% off concession stand purchases all season long (excludes alcohol). To apply this discount, please present your Smokies Plus Membership card at the time of purchase. Discount cannot be applied to purchases at the Smoky Mountain Brewery Bullpen or Smoky Mountain Snow concession stand. Every Wednesday night game at Smokies Stadium is "All-You-Can-Eat Night." Menu Items include: Hamburgers, Hot Dogs, Nachos with Cheese, Baked Beans, Potato Chips, Buffalo Chicken Dip, Ice Cream Sandwiches, and Pepsi Products. For every 30 Pack purchased, you receive one (1) complimentary wristband to redeem for the All-You-Can-Eat Wednesday of your choice. Please notify your dedicated sales executive when you would like to redeem your complimentary wristband(s).